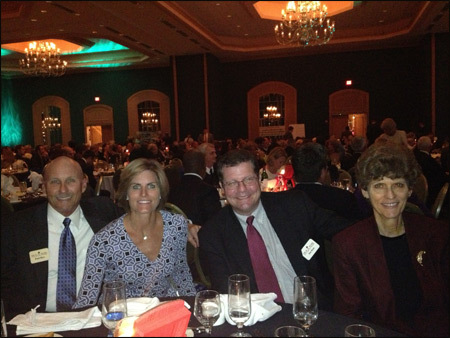 Paul Rice, his spouse Kristi, Jim Rose and his spouse Janice attended the Daytona Regional Chamber annual dinner on February 11 at the Hilton Hotel in Daytona Beach along with 650 other Chamber members. Jim Rose is the chairman-elect of the Daytona Regional Chamber for 2014. The Daytona Regional Chamber is the largest in Volusia County with some 900 members. Have your contract and your tort!